2019 IIER 697th International Conference on Social Science and Economics ICSSE will be held in Seoul, South Korea during 18th - 19th August, 2019 as the Conference of ICSSE-2019. ICSSE 2019 is sponsored by International Institute of Engineers and Researchers IIER. It aims to be one of the leading international conferences for presenting novel and fundamental advances in the fields of Social Science and Economics. It also serves to foster communication among researchers and practitioners working in a wide variety of scientific areas with a common interest in improving Social Science and Economics related techniques. 2019 IIER 616th International Conference on Psychology, Language and Teaching ICPLT will be held in Seoul, South Korea during 18th - 19th August, 2019 as the Conference of ICPLT-2019. ICPLT 2019 is sponsored by International Institute of Engineers and Researchers IIER. It aims to be one of the leading international conferences for presenting novel and fundamental advances in the fields of Psychology, Language and Teaching. It also serves to foster communication among researchers and practitioners working in a wide variety of scientific areas with a common interest in improving Psychology, Language and Teaching related techniques. 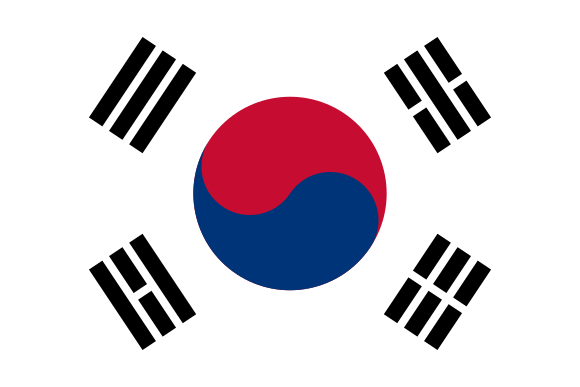 2019 IIER 590th International Conference on Law and Political ScienceICLPS will be held in Seoul, South Korea during 18th - 19th August, 2019 as the Conference of ICLPS-2019. ICLPS 2019 is sponsored by International Institute of Engineers and Researchers IIER. It aims to be one of the leading international conferences for presenting novel and fundamental advances in the fields of Law and Political Science. It also serves to foster communication among researchers and practitioners working in a wide variety of scientific areas with a common interest in improving Law and Political Science related techniques. IASTEM - 638th International Conference on Social Science and Humanities ICSSH will be held on 4th - 5th July, 2019 at Seoul, SouthKorea . ICSSH is to bring together innovative academics and industrial experts in the field of Social Science and Humanities to a common forum. IASTEM - 635th International Conference on Economics and Business Management ICEBM will be held on 4th - 5th July, 2019 at Seoul, SouthKorea . ICEBM is to bring together innovative academics and industrial experts in the field of Economics and Business Management to a common forum. The purpose of ROEES is to serve as a platform for international exchange of ideas, collaborations, and cooperation. This platform provides an excellent venue for presentation & discussion of noval research ideas. This platform is designed to welcome academicians, professors, students, and industry practitioners. Theoretical, applied and, empirical research in multidisciplinary areas of business, finance, marketing, management, accounting, MIS, public administration, economics, business law, business education, and related fields. The ANIMH welcomes proposals from engineers, experts in information technology, information science, management, business logistics, and computer science including executives, academics, consultants, professional researchers, independent scholars, consultants, practitioners, and PhDgraduate students in statistics, mathematics, engineering, database quality control, management, computing technology, and engineering economics. [Brief Introduction] The 8th International Conference on Biomedical Engineering and Biotechnology ICBEB 2019 will be held during October 22-25, 2019 in Seoul, Republic of Korea. Hosted by Institute of Bio-medical Engineering Research, Kyungpook National University and supported by Center for the Support of Medical Device Platform, Keimyung University, ICBEB 2019 aims to provide an international platform for scientists and scholars to present their research results and newest findings in all fields of Biomedical Engineering and Biotechnology. [Conference Topics] Topics include but are not limited to: Medical Imaging Technology; Biomedical Signal Processing; Biomechanics & Biomechanical Engineering; Chemistry, Pharmacology & Toxicology; Molecular Biology etc. [ICBEB 2019 Hightlights] 1.Academic exchange with the specialists around the world 2.Accepted full papers and abstracts will be recommended to SCI journals. 3.The China Physiological Signal Challenge 2019 will be held during the conference. 4.Active reviewers will be candidates for TPC members next year. 5.A chance to explore Seoul. [Conference Program] October 22, Registration October 23, Welcoming Speech, Keynote Speeches, Invited Speeches, Oral Presentations October 24, Invited Speeches, Oral Presentations and Welcome Banquet October 25, Poster Presentation [Contact Us] ICBEB Organizing Committee Email: icbeb@icbeb.org Welcome to join us in Seoul, Republic of Korea, and exchange your research findings with research fellows around the world! Korea South a young population with an economy on the move, transforming rapidly into a modern nation, needs a platform to plan and to translate those plans into reality. Today with a larger investments in science, research and developments which can intercept the growing necessity of modernization in social, health, security, scientific and economic sectors, need to have platforms like conferences, seminars , workshops n other related events which can throw light on different areas.